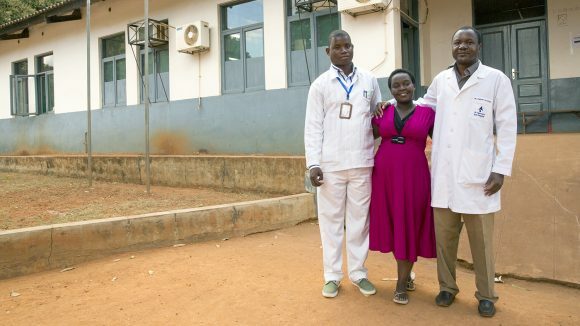 Dr Nyaluke has been a qualified ophthalmologist for nine years. 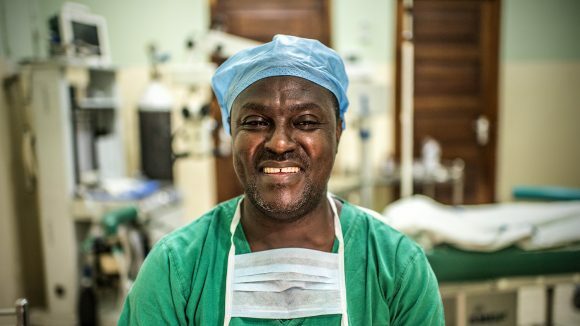 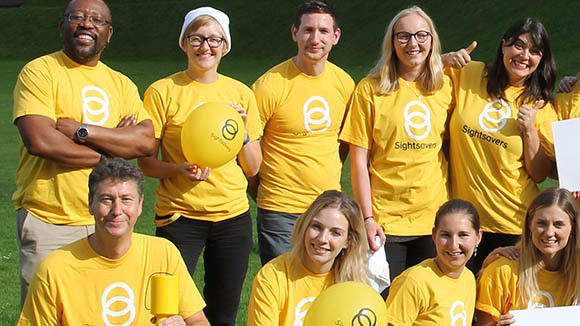 He now specialises in performing surgery on children with cataracts. 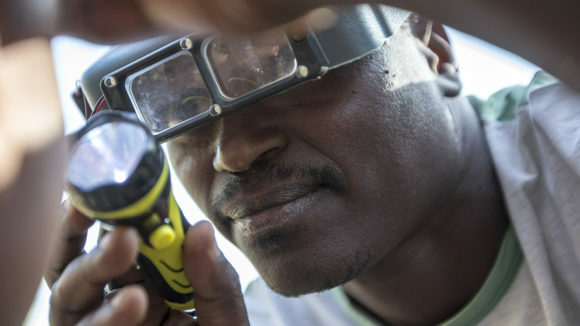 In Nampula province, there are only three ophthalmologists who are qualified to perform cataract operations on a population of nearly four million people. 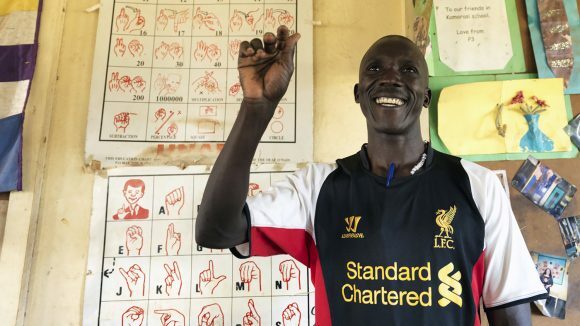 After completing vocational training with our Connecting the Dots programme, Rajab advocates for the rights of people with disabilities in his district. 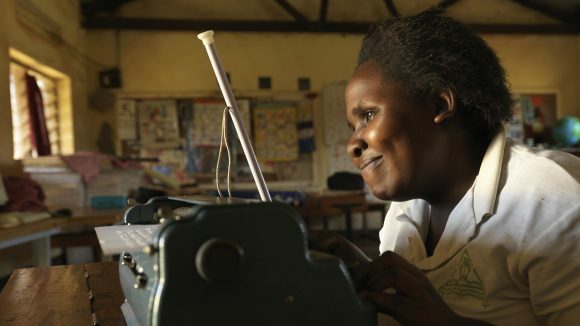 Rita, a graduate of the Connecting the Dots training programme, teaches blind and visually impaired students in Uganda. 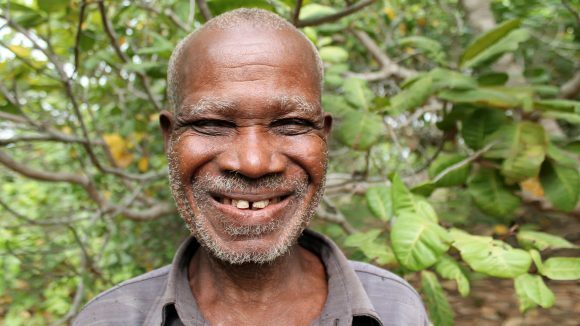 Meet 60-year-old Emmanuel, who lost his sight while earning a living as a fisherman after he contracted a disease called river blindness. 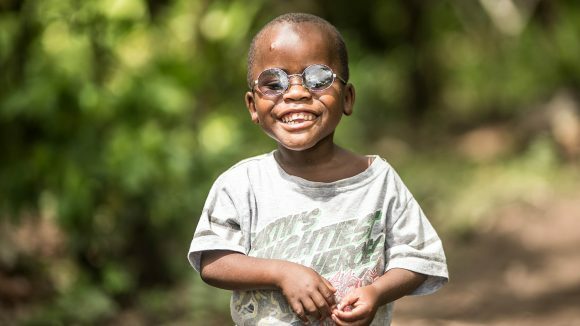 Majidul featured in the final episode of the popular BBC series ‘Forces of Nature’, telling how a cataract operation restored his sight and his confidence. 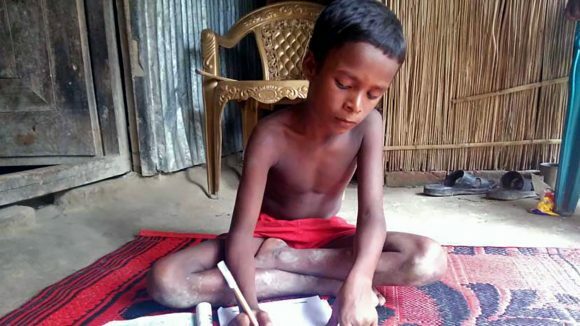 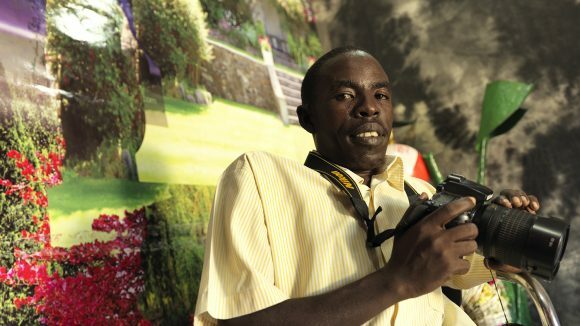 Isaac lost his sight seven years ago, forcing him to drop out of school. 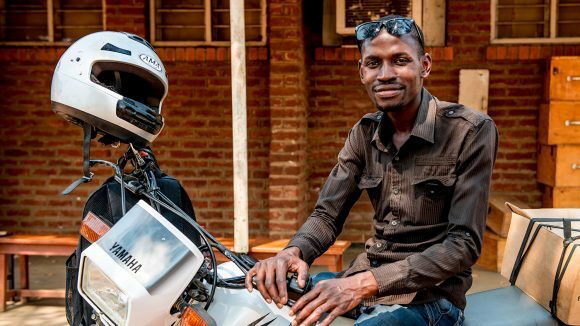 He’d lost hope until Sightsavers offered to give him vocational training.